Filippo Tommaso Marinetti (1876-1944), the founder of Futurism, published his “Manifesto of Futurism” in 1909, and in the same year published his only science-fiction novel, Mafarka le futuriste: Roman Africain (which has been translated by Steve Cox and Carol Diethe as Mafarka the Futurist: An African Novel in 1998). It describes a North African dictator who embodies the future through his strength and will. It is worth adding to what the Encyclopedia of Science Fiction mentions, his science-fictional play, La donna è mobile (Poupées électriques, “Electric Dolls”), first presented in Turin in 1909, and remembered now through a later version, Elettricità (“Sexual Electricity”). He had humanoid automatons appearing onstage ten years before Čapek introduced the word “robot”. 3. Up to now literature has exalted a pensive immobility, ecstasy, and sleep. We intend to exalt aggressive action, a feverish insomnia, the racer’s stride, the mortal leap, the punch and the slap. 7. Except in struggle, there is no more beauty. No work without an aggressive character can be a masterpiece. 8. We stand on the last promontory of the centuries!… Why should we look back, when what we want is to break down the mysterious doors of the Impossible? Time and Space died yesterday. We already live in the absolute, because we have created eternal, omnipresent speed. 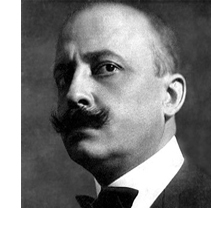 It was in Italy that Marinetti expected his Futurist Manifesto to have its impact; even though he launched it almost simultaneously in France (with an article in Le Figaro, 20 February 1909). It is from Italy that we launch through the world this violently upsetting incendiary manifesto of ours. With it, today, we establish Futurism, because we want to free this land from its smelly gangrene of professors, archaeologists, ciceroni and antiquarians. For too long has Italy been a dealer in second-hand clothes. We mean to free her from the numberless museums that cover her like so many graveyards. The futurist manifesto eventually led to thoughts about the cooking of the future, first uttered in a radio broadcast from the Penna d’Oca restaurant in Milan in 1930. His Manifesto of Futurist Cooking was published in a Turin newspaper in 1930, and the book La Cucina Futurista (“The Futurist Cookbook”) in 1932. It contained 172 recipes. There were to be no knives or forks, only instruments like ultraviolet ray lamps to activate vitamins. Above all, there was to be no pasta, which made Italians sluggish and sentimental. In the late 1980s, when Chris Clark and I taught a course on Utopias at the University of York, we once organised a futurist meal to celebrate the end of the course. The food was mostly brought by the students. I remember that the jelly with ball-bearings was not very easy to eat safely; it had been inspired by Marinetti’s Chicken Fiat, in which roast chicken was served stuffed with steel ball-bearings, with a seasoning of engine oil. The apostle of futurism was born in Egypt in 1876; his father was a lawyer who had been invited by the Khedive Isma’il Pasha, who was engaging in a modernising project, to act as legal advisor to foreign companies. His mother was the daughter of a professor of literature, and introduced Marinetti to the classics. He studied in Egypt, Paris (his degree from the Sorbonne was awarded in 1894) and then Pavia (graduating in law in 1899). He decided to follow a literary career rather than become a lawyer. In 1909 he had a minor car accident near Milan; he emerged from the ditch, he said, determined to break completely with the past and to start a new world. He wrote plays, organised a number of happenings, and generally inspired a good deal of hostility, on which he thrived. In 1911, Marinetti went to Libya as war correspondent for a French newspaper, eventually collecting his pieces together for The Battle Of Tripoli. He visited London a few times, which he regarded as “the Futurist city par excellence”; the artist Wyndham Lewis was interested in his work. Before the war he also worked on an anti-Catholic poem, Le monoplan du Pape (1912: “The Pope’s Aeroplane”, 1912) and edited an anthology of futurist poets. But he realised that existing poetry was not suitable for the Futurist, and decided to develop sound poetry, using parole in libertà, words in freedom. “Zang Tumb Tumb” is the most famous example of this. In 1918, after his War Experiences, he began collaborating with Benedetta Cappa, whom he married in 1923. In 1918, he founded the Partito Politico Futurista or Futurist Political Party, which a year later merged with Mussolini’s Fascist Party; in 1919 he co-wrote the Fascist Manifesto. Although he had his disagreements with the Fascists, he remained generally loyal to the regime. In an effort to get Futurism accepted, he watered it down over the years; he even reconciled himself with the Catholic Church in an effort to win their support. Ironically, towards the end the Fascists had adopted one part of Marinetti’s futurist cooking manifesto: the problems of importing enough wheat for pasta-making led them to argue that pasta was unsuitable for heroes, promoting Italian rice as a substitute. I am relying here mostly on Wikipedia, but also on other on-line sources. I have consulted Cinzia Sartini Blum’s The Other Modernism: F.T. Marinetti’s Futurist Fiction of Power (Berkeley: University of California Press, 1996).